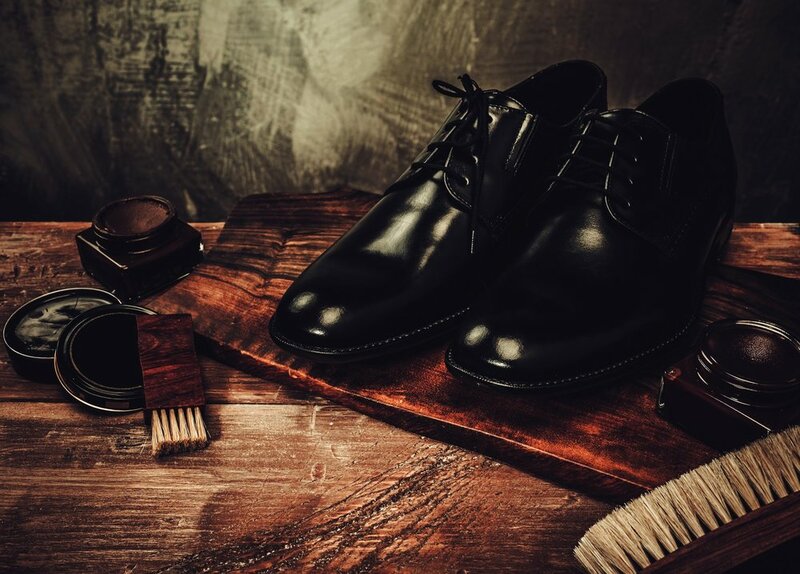 Serving the Salt Lake area, Polished adds value to your employee experience by bringing on-site professional shoe and leather care with a personal touch. From start to finish, we use the best products for the job. The result is shoes and leather products that are better protected, last longer, and look great. And customers that feel great. We know every business is different, so we offer a variety of services to match your needs. Don't see a service that quite works for you? Give us a call, let's see what we can work out. A phenomenal customer experience is more than a great shine. At Polished we are committed to being timely, efficient and friendly. The devil is in the details, and that's where we excel. Book us to come in for a regularly scheduled day and time to shine shoes on site. Individuals pay for shines independently. A small set up fee may be applied to smaller groups. For a flat hourly rate, you can offer shoe shining as a free perk to your employees. There is a one hour minimum requirement for this service. Packages are available for a discounted fee. We will shine one pair of leather shoes or boots per person on site. We also offer a drop off service for the cleaning and conditioning of additional pairs of shoes, boots, belts, purses, suede, briefcases and non-leather shoes, to be returned one week later. Schedule us to come by and pick up shoes to be shined off-site and returned one week later. There is a minimum requirement of 10 pairs of shoes for this service. Have a bridal party or guest list that you want to pamper? We can add that something unique and special to your event. Have a booth you want to draw more people to (with an automatic captive audience)? A corporate event that could use a personal touch? A shoe shine stand is a great way to add that extra something to really make your event or brand memorable. Have an awesome idea that could use a mobile shoe shine and you don't see it listed here? Talk to us! Ask us about package discounts. A travel fee may be charged for bookings outside the downtown Salt Lake City area. Specialty items priced on request.